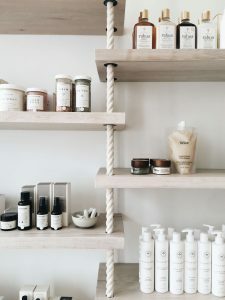 When you shop for skin care products, do you shop based on the brand, the skin benefits it claims to offer, the color of the bottle, or maybe it was recommended to you? There are many reasons why we choose the skin care products that we choose. Perhaps you have tried numerous cleansers, lotions, masks, and scrubs until you found the one that left your skin feeling and looking better. Or maybe you just like switching it up and trying new things. 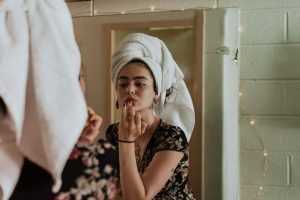 While you may not know what any of the ingredients in your skin care products do, let alone if they are beneficial or harmful, we think it is important to know what you are putting on your skin. At Azeal Dermatology Institute in Boulder, we can provide you with the skin care treatments and knowledge you need to help keep your skin healthy and beautiful. Let’s start with the ingredients in your skin care products. While we offer general, cosmetic, and aesthetic dermatology services to help your skin, good skin care starts at home! In this blog, we are going to talk about some of the ingredients and things to look for in your skin care products to ensure you are using a beneficial product that is healthy for your skin. Read on to learn more and try flipping the bottle over next time you purchase skin care products. This is a chemical that your body creates naturally. It is contained in every cell and is an antioxidant, attacking free radicals in the body. An article from Cleveland Clinic mentions that its claim to fame is its anti-aging properties. This chemical can help prevent future skin damage and repair past damage. Thanks to it being soluble in water and oil, it can enter all parts of the cell. Alpha-lipoic acid is believed to provide the greatest protection against free radicals compared to other antioxidants. There are many benefits of this chemical in your skin care products including reducing fine lines, leaving skin glowing, and boosting other antioxidant levels. If you are looking for a skin care product that fights free radical damage and helps keep your skin looking young, this is one ingredient you will want in your products. 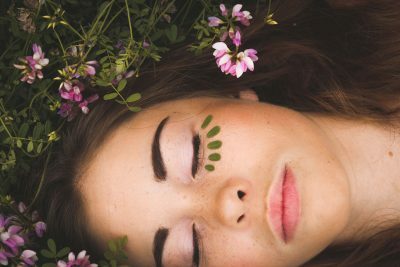 A MindBodyGreen article mentions this high performing ingredient that is found in the skin, connective tissue, and nerve tissue. This ingredient can help boost the appearance of dry, damaged skin by restoring suppleness and increasing the moisture in your skin. Hyaluronic acid can often be found in moisturizers and anti-wrinkle products because of its moisturizing properties. This acid can also boost the firmness and suppleness of skin because it can absorb up to 1000 times its own weight in water. You may know the benefits vitamin C offers your body when you consume it daily, but do you know what it can do for your skin? Another MindBodyGreen article mentions some of these benefits. There are two forms of vitamin C. The first is called Ascorbyl palmitate. It is a “stable” form of the vitamin that does not require preservatives to stay active and functioning. The other form is more irritating and unstable, but it is also more beneficial for the skin. This is called ascorbic acid. The Cleveland Clinic article even mentions that this is the only form of vitamin C that you should look for in your skin care products. Others are not effective and do not offer any benefits. Ascorbic acid can help with pigmentation, is necessary for collagen production, and acts as a natural sunscreen. This form of vitamin C also helps to strengthen the red blood capillaries that appear in the nose and cheeks as we wage, which help to keep them less visible. Since vitamin C is a powerful antioxidant, it helps fight free radicals that cause inflammation, which is another major benefit. This ingredient is made from vitamin A and can often be found in anti-aging products. It helps boost the amount of collagen your skin makes, adding more plumpness to your skin. This form of vitamin A can also reduce signs of fine lines and wrinkles, improve skin tone, and even out complexion. The WebMD article mentions that over-the-counter products with retinol will be weaker, but you can be prescribed stronger products to help with aging, irregular color, and acne. Over-the-counter products will still be beneficial, but are weaker. One thing to be aware of is that retinol-based products may cause your skin to dry out slightly. It is best to use these products at night and a different moisturizer in the morning. This ingredient is found in many products that treat acne. It is made from the bark of the willow tree and is oil soluble. This means it can blend with your skin’s natural oils and penetrate the pores. Once in the pores, salicylic acid removes dead skin cells that clog the pore and cause breakouts. The removal of dead skin cells can also help to improve texture and color of sun-damaged skin. This ingredient is less irritating to the skin than products that contain alpha-hydroxy acids (which are also beneficial), while still providing similar benefits and improvements in color and texture of skin. The WebMD article mentions that you should avoid salicylic acid if you are allergic to aspirin. If you are allergic to aspirin and notice that your skin care products are making your skin itchy and causing hives, you may want to make sure it does not contain salicylic acid. These are only a few of the main ingredients that you want to be added to your skin care products. There are many ingredients that can benefit your skin and target your needs. But there are also many ingredients that you should avoid, which we will go over some in our next blog. Start checking the labels on your skin care products to ensure you are giving your skin what it needs to look and feel amazing. Schedule an appointment at Azeal Dermatology Institute in Boulder today to get your skin the treatment it needs! Or you can simply schedule a skin care consultation to learn more about your skin and what it needs. You can also shop through the products we offer at our office to find something that is healthy and recommended by us! Contact us today to learn more!